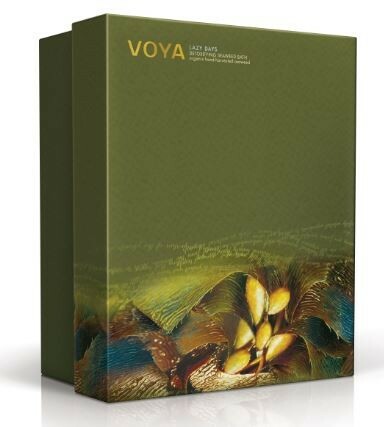 I stumbled upon Voya at a beauty event in London a couple of months ago. It was serendipitous really, as I was busy working on ideas and content for this issue. Thematically, what could be represented From the Water's Depth more than seaweed? Growing up on the west coast of South Africa, in a little city called Cape Town, I am no stranger to seaweed. I spent my youth frolicking in the ocean, pretending to be a mermaid or seaweed monster. It wasn't until I discovered Voya however, that I learnt the benefits of seaweed. Yes, just a couple of months ago! Because of its abundant mineral content - which it absorbs from the ocean - seaweed is an incredibly nourishing ingredient. It's high amino acids content, which helps stem those pesky free radicals help improve skin suppleness and elasticity (which naturally reduces the signs of ageing) by stimulating the skin cells, which in turn helps to tone, soothe and moisturise the skin. Not to mention its excellent purifying and cleaning properties. Voya is seeped in Irish tradition. Seaweed bathing has been an Irish pass-time for some 300 years and was used not only as a means of cleaning the body, but also for its therapeutic properties. It is, in fact, Ireland's only indigenous therapy. The first public seaweed baths were opened in Strandhill, Co.Sligo in 1912. They were popular throughout the Edwardian period as they offered a place for the community to wash themselves during a time when running water in the average person's home was just a pipe dream. Can you imagine having a chance to bath in warm seawater, in your very own bath, in your very own private room...instead of bathing in an iron bucket in your living room, with water you had to boil over a fire? And, having the added value of your aches and pains and various skin conditions easing after a soak? The idea of a seaweed bathhouse soon spread like wildfire throughout Ireland and the people came flooding through the doors. In 1965 Hurricane Debbie destroyed the original Strandhill baths. Lost for decades. Until, in 2000, the Walton family reopened them, much to the publics delight. After realising the benefits of seaweed bathing on aching muscles post training, and discovering that there were no other organic seaweed brands around, it was a no-brainer. The seaweed is harvested by hand and selected by sight from the wild Atlantic waters that lap the western coastline of Ireland. To avoid harming or over-harvesting this incredible natural resource, Voya ensures that only small portions of the seaweed are cut, allowing up to 8 months for it to replenish itself. They avoid using any machinery that could harm the marine life, that the seaweed has a flawless symbiotic relationship for. Respecting the ocean is paramount. In 2006, Voya launched its first product, Lazy Days. Take-away seaweed, for you to enjoy at home (thanks to modern day plumbing) and soak up all the benefits that this incredible ingredient has to offer. What to see this product in action? Then feast your eyes on our exclusive editorial "Beyond the void, the water awaits." An entire seaweed infused (skin and hair care) range was soon to follow. Available in luxury spa's around the world, or online for you to use at home.